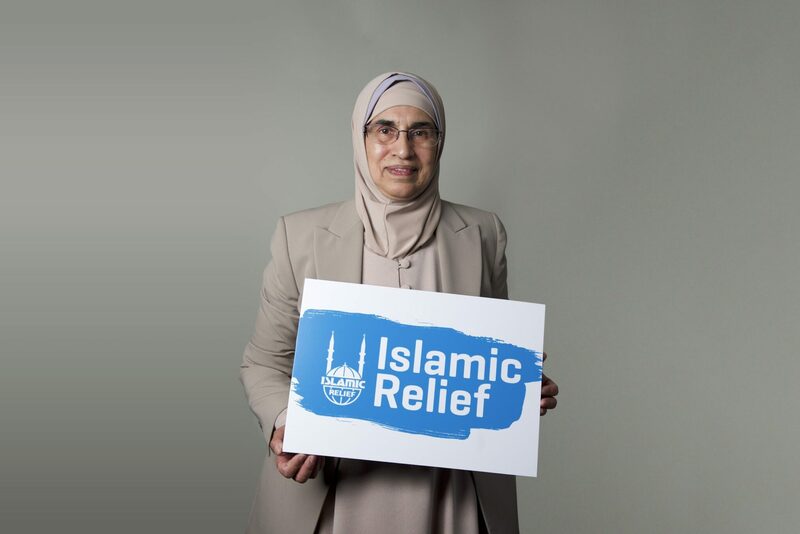 As Head of Major Gifts and Corporate Giving here at Islamic Relief UK, I have the great pleasure of meeting some truly inspiring philanthropists, partners and advocates who really enable us to increase the impact of our work. Trust: All our supporters are entrusted to ensure that they’re using their time and resources appropriately – and the same goes for us! Energy: Those passionate about helping others really do gain energy from the cause! It’s their energy that drives them towards their goals and that revitalises them, energising them to do even more good! Leadership: The most generous people are not afraid to stand up and lead for their cause. However, this doesn’t have to involve large groups. Getting involved is in itself a form of leadership and fundamental to our work! Throughout the history of IRUK, one lady who’s definately shown that she’s on a life-long mission as a humanitarian is Ravalia Umm Ali, known fondly by everyone as Aunty Ravalia. One of our most enthusiastic sponsors is Ravalia Umm Ali, known fondly by everyone as Aunty Ravalia. Born in Zimbabwe, Aunty Ravalia moved to London in 1983 and is now a mother of three grown-up children. Having always been passionate about charity work and with the support of her family, Aunty Ravalia has sponsored more than 27 orphans with Islamic Relief. SubhanAllah! Here at Islamic Relief, we currently support more than 8,000 orphaned children in Palestine. To continue helping children across the region, we launched our Children of Palestine appeal calling on our donors to sponsor 500 more orphans, as well as to continue supporting other life-changing programmes across the Palestinian Territories. As one of the wonderful donors helping children across the globe to create a safer, happier future for themselves, we decided to get in touch with Aunty Ravalia. Here’s what she had to say about her experiences helping children in need. IRUK: Salam Aunty Ravalia! Can you begin by telling us a little bit about yourself? AR: I was born and raised in Zimbabwe. I worked from a young age as my family struggled financially. When I was growing up I really wanted to help communities in need, so I started volunteering with a first aid group on weekends. I did a lot of charity work and worked in the Department of Social Medicine at the University of Zimbabwe. I then relocated to the UK when my husband came over for postgraduate studies with other members of the Pakistani community. IRUK: You currently support orphans and orphanages around the world. What made you decide to support children in Palestine? AR: I’ve always felt that sponsoring orphans is a great way to give back to humanity. There’s such a great need. My first exposure to orphans was when I was working as a volunteer with severely disabled children. I also worked at a teaching hospital where we saw malnourished children from nearby villages. I witnessed the difficulties children who’d lost their parents faced and this inspired me to do something. Travelling has been a dream of mine since I was a child. My travels have taken me to many different countries including Malaysia, Bosnia, Pakistan, and India. Every time I travelled I wanted to find out a little bit about the people and my first point of contact was always an orphanage, looking at what help was given to orphans in these areas. Wherever you go, there is always someone in need and I always made sure I contributed something or learned something from them. On one of my trips to Egypt I saw three or four children who’d been sleeping on the street. They were eating bread and I noticed they didn’t have a home or access to clean water or an education. This broke my heart. Allah has given me everything yet some children do not even have food on the table. I talked to local orphanages and decided I needed to do something. My exposure to charitable organisations in the UK offering orphan sponsorship programmes then inspired me to save money and help children on an annual basis. The feedback and reports made me realise that there is a great need to sponsor orphans, knowing that they benefited from the donors and were being taken care of. IRUK: What an amazing life you’ve led Aunty! 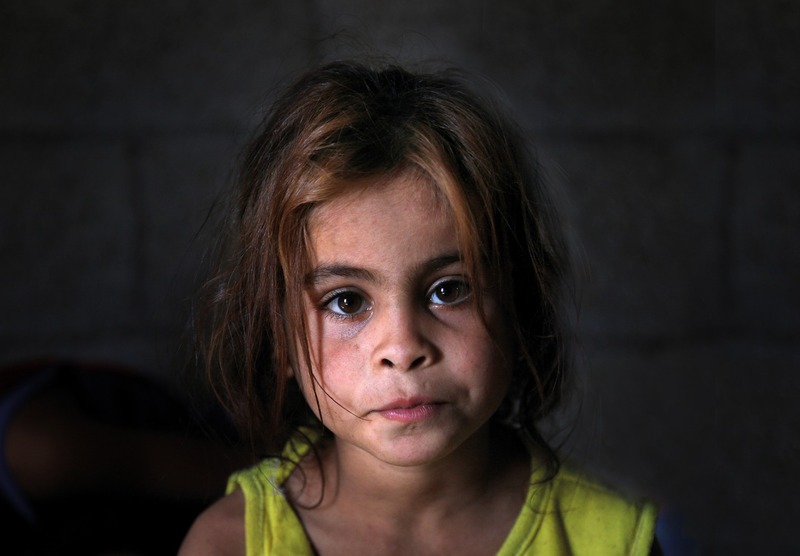 Do you have any words of advice for those who might be thinking about supporting children in Palestine? AR: I would encourage as many people as possible to reach out and sponsor an orphan. Helping someone during their formative years makes such a difference to both you and them. It is such a blessing and a great way to do Sadaqah Jariyah. You’re giving a child a start in life and providing them with life essentials. You know they’re getting food, an education and can get medical treatment. You also get to see such great changes in the children as they grow up and mature into adulthood. These children need sponsors so please help them! The rewards are with Allah. IRUK: Thank you Aunty Ravalia for all the amazing work you do and the support you provide Islamic Relief. You really are an inspiration! After speaking to Aunty Ravalia, it’s clear to see that although there are many different kinds of generous people and that generosity comes in many forms, great humanitarians all share the same common traits: altruism, optimism, trust, energy and leadership. Whether giving their time or money towards a cause, they are truly devoted to giving back to their communities and families. However, while it’s typically high-profile supporters who we often see in the news, we must remember that anyone can and does make a difference. Every helping hand enables us to make a real change and as an organisation, we see these changes happening every single day at Islamic Relief. And for that, I – and all the rest of my team – would like to say thank you to all of you for your ongoing support. You truly are all lifesavers. If you’d like to support children across the Palestinian Territories, visit our appeal page.